The very next book I picked up after No Way But Gentlenesse was Tim Birkhead’s The Wonderful Mr Willughby: The First True Ornithologist. 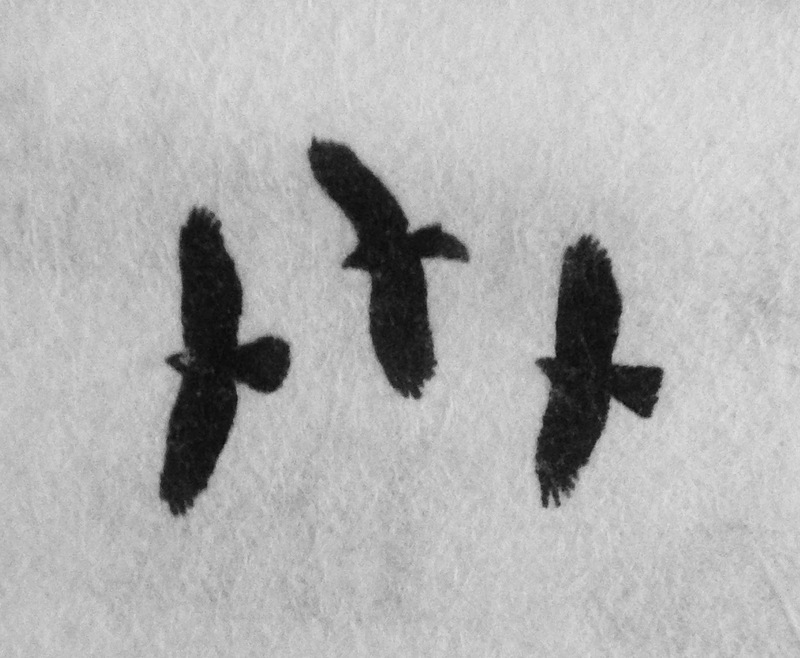 And the very first section break, after a discussion of Honey Buzzards, which Francis Willughby distinguished from Common Buzzard at the dawn of taxonomy, is this dingbat of three soaring raptors. The plot? Francis Willughby (1635-1672) died young. His mentor/science partner John Ray (1627-1705) finished up their work, foundational tomes titled (for short) Ornithology, History of Fishes, and History of Insects. Ray, who initially called himself Wray, has traditionally gotten the lion’s share of credit by history. Birkhead addresses the imbalance. His lads were co-workers, Willughby (spell-check wants to add the O) just had the misfortune of kicking off early. The European Honey Buzzard, as Voltaire might have said, is neither (strictly) European, an eater of honey, nor a buzzard. They winter in Africa, putting paid to any notion they belong to either Africa or Europe. They generally eat wasp larvae, digging the grubs out with their short strong claws. They have scale-like feathers on the face, to protect them from understandably upset adult wasps. And while they look like buzzards (Buteo hawks), they’re more actually related to tropical kites. Birkhead argues they should be called Willughby’s Buzzard. I’ve only had some distant views of them in flight, in Sweden. Here’s something completely different: rare Kemp’s Ridley sea turtles hatched on the Rockaways, a part of Queens, last month, for the first time ever this far north. Time to downgrade the Supreme Court? Beautiful image of birds on fabric? and very informative blog Thanks! These are actually on paper,but magnified by x10 so that the fibers are starting to be visible. I have some of Tim Burkhead’s books. I’m going to add this one to my to-read list. Thanks for the tip.